Valerius Andriescu wanted to go home. It had been centuries since they had been expelled, but he felt trapped. Since his brother had married a mortal, it now became his responsibility to continue the bloodline - by mating with another vampire. And although he secretly wanted a female vampire to be his mate, he wanted one he could be loyal to, and who would in return be loyal to him. Val willed himself to his ancestral home. Much had changed since the final battle. He immediately noticed the blood and dead were gone. But it was the unexpected explorations of Aneke Abruia, a human female, that most disconcerted Val. He had been told in no uncertain terms he could not be with a human, yet he found himself drawn to Aneke like no other. However, he could not turn his back on the decree of his brother. 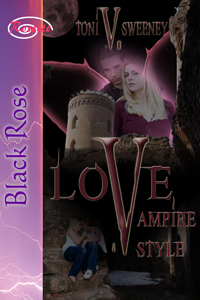 Love, Vampire Style was a light vampire romance of family obligations and love. Val loved his family, and had always honored his brother, yet he wished to be able to follow his heart. He didn't think it was fair that because his brother had married a human, he could not. These are simple, common, everyday issues in the lives of vampires. I enjoyed the carefree feel of the story. At times, I did find Val to be a little immature for his centuries, but perhaps as vampires live longer, they take a bit longer to mature. I would like to return to see some of his relatives find their mates.